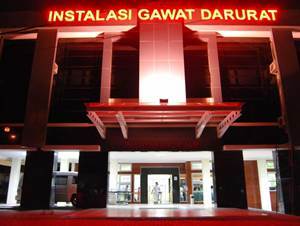 Rumah Sakit Umum Daerah Tugurejo Semarang - RSUD Tugurejo is a well-established government-owned general hospital in Indonesia, located in Semarang, the capital city of Central Java Province. RSUD Tugurejo is registered at Jl Walisongo KM 8.5 Tambakaji Ngaliyan Semarang, Central Java. RSUD Tugurejo is owned and managed by the Provincial Government of Central Java. RSUD Tugurejo is a Hospital Grade B. The Hospital holds the ISO 9001:2008 and ISO 9001:2000 certifications. According to RSUD Tugurejo's profile as cited by JobsCDC.com, the history of RSUD Tugurejo started in 1952 and initially as a Part of the Department of eradication of leprosy in Central Java. In 1968, the Hospital transformed into Leprosy Hospital Tugurejo. In 2000, the Hospital transformed from special hospital became general hospital. As of October 2014, RSUD Tugurejo installed total bed capacity of 389 beds. JobsCDC.com now available on android device. Download now on Google Play here. Please be aware of recruitment fraud. The entire stage of this selection process is free of charge. 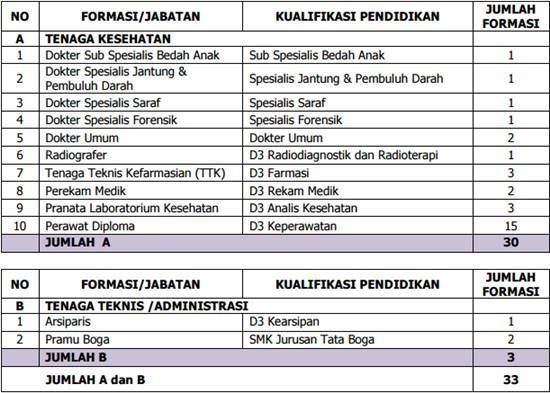 RSUD Tugurejo Semarang - Recruitment Non CPNS BLUD RSUD Tugurejo April 2017 will never ask for fees or upfront payments for any purposes during the recruitment process such as transportation and accommodation.